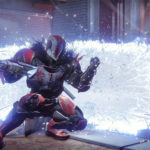 Bungie, the creators of the Halo franchise, and Activision Publishing, Inc., a wholly owned subsidiary of Activision Blizzard, Inc. (NASDAQ: ATVI) and the creators and publishers of such blockbuster franchises as Call of Duty and Skylanders, have joined forces to bring you Destiny, releasing worldwide today at 12:01 midnight September 9th local time in each territory where available at global retailers. 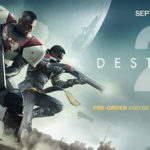 Destiny is the most pre-ordered new video game IP in history, and has won over 180 awards and nominations, setting the stage for Destiny to become one of the biggest entertainment launches of the year, and the next big blockbuster franchise in gaming. In July, over 4.6 million people tested Destiny in what became the biggest beta of this console generation. Millions are expected to start playing the full game today. In addition to the launch of the game, the Destiny Expansion Pass is available for purchase. 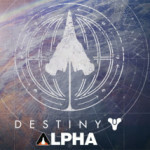 The Expansion Pass will extend the Destiny adventure after the launch of the game, with two expansions, both of which will include brand new story missions, cooperative activities and competitive multiplayer arenas, and a wealth of all new weapons, armor and gear to earn. The Expansion Pass is available at a suggested retail price of $34.99, with Expansion I and Expansion II to be priced individually at $19.99 when they launch. Expansion I will launch in December, with Expansion II following. In Destiny, you are cast as a Guardian of the last city on Earth, able to explore the ancient ruins of our solar system in a social, living universe filled with other players. You will journey through environments spanning the red dunes of Mars to the lush jungles of Venus while creating your own legend as you and your friends venture out into the stars to reclaim the treasures and secrets lost after the collapse of humanity. Over the course of your adventures you will become more powerful as you wield rare and exotic weapons, gear, and super abilities. 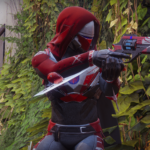 In addition to the story campaign, you can take your unique character into any co-operative or competitive activity, including the ability to compete with or against your friends in The Crucible, Destiny’s competitive multiplayer mode featuring numerous playlists and maps spanning diverse environments across the galaxy. Destiny is rated T for Teen by the ESRB (Animated Blood and Violence), and is available now for the PlayStation 4 computer entertainment system (PlayStation Plus required for some features), PlayStation 3 computer entertainment system, Xbox One, the all-in-one games and entertainment system and Xbox 360 games and entertainment system from Microsoft (Xbox Live Gold required for some features). 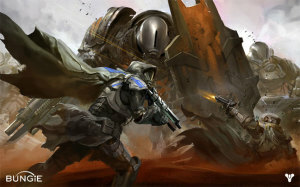 For more information, visit www.DestinyTheGame.com.